Hey Singapore, we made world news again! 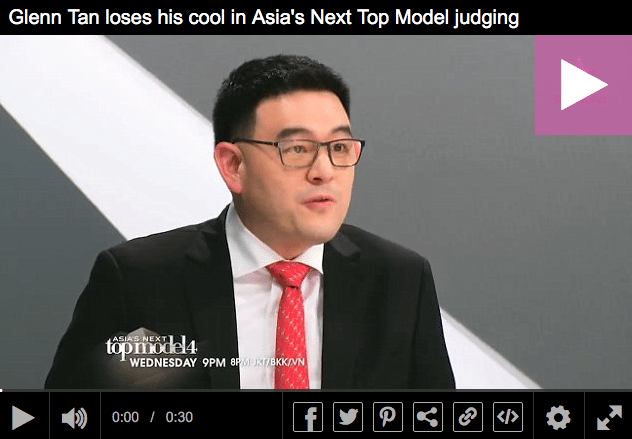 In the latest episode of Asia’s Next Top Model S4, Subaru Executive and Guest Judge, Mr. Glenn Tan, lambasted a contestant for rolling her eyes at him while he was giving a brief. No. Briefing… you see, he was upset with a contestant, Miss South Korea, Kim Sang-in, 23, because he noticed she was rolling her eyes as he spoke, while giving them a briefing to the photo shoot and what it entails… He was so upset, he later ambushed her, attacked her, scolded her told her off at judging. Said contestant, Kim Sang-in, all class, immediately offered up a short explanation and a graceful apology, “the Korean way” she says, a traditional Korean bow. 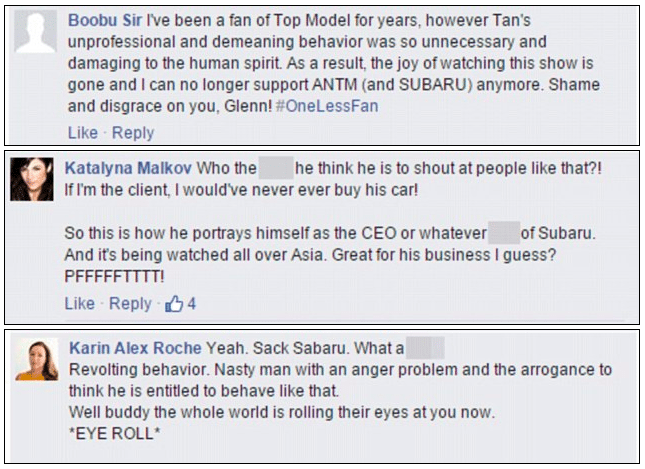 WATCH THE CLIP: The clip of him has drawn a truckload of angry reactions from fans. >1,000 reactions and counting. Did he say the f-word? We don’t know. It was censored. Could have been “fish”, “fire”, “fries” okay. Here’s some global coverage of this fiasco. 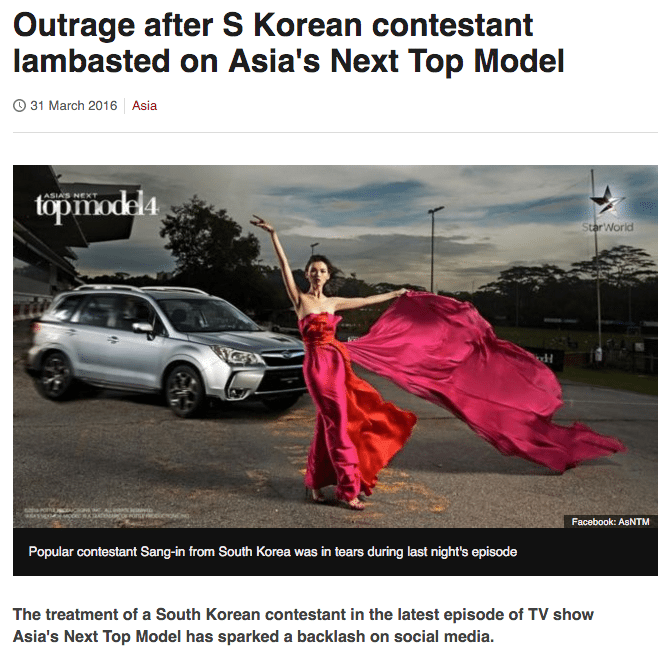 Cherry Mae Galiza, a viewer from the Philippines, wrote on Facebook it was the show’s “worst cycle ever”, saying Mr Tan had been “very unprofessional”. 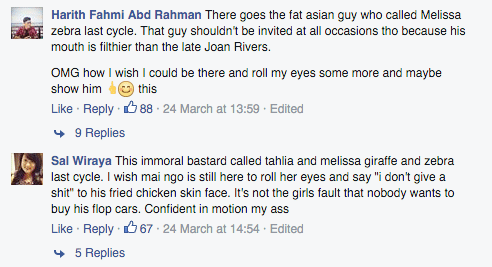 “Just because he is a sponsor does not mean he can yell at a girl like that,” said Lucas Tai in Malaysia. Why Do You Call Glenn Tan “Ah Seng”? Are you guys close? In the meantime, we await Subaru’s official comment – seems the BBC asked them for one.